Los Angeles Intl. - Galeao - Antonio Carlos Jobim Intl. Even if you're the most impulsive traveler, it's still a wise idea to know a little about Barra da Tijuca before you go. Circle it on the map, make a note of the activities on offer and let the fun begin! A neighborhood in the popular city of Rio de Janeiro, Barra da Tijuca is 14 miles (23 kilometers) to the southwest of the heart of the action. Forget the big attractions — it's the locals that make a place tick. Here in Rio de Janeiro, there are 6,000,000 of them. Get the best bargain on your trip to Barra da Tijuca by combining your accommodation and flight bookings. You can also pick from upwards of 400 airline companies and 665,000 places to stay. Our Customer 1st Guarantee gives you 24/7 personal assistance on everything from airfares and accommodations to car rentals and experiences. Encountered an even better bargain elsewhere? We'll match the price and refund the difference^. We all know that situations can suddenly change. If you ever wish to alter your bookings, you will not pay a fee to us. And as long as you get in fast, many accommodations don't charge fees either^. 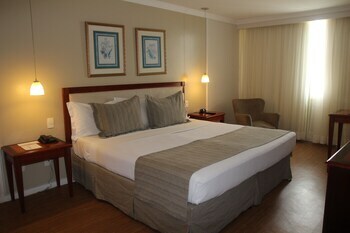 Fabulous accommodations are just around the corner when you visit Barra da Tijuca. There are 7 properties that are just a stroll from the center. Act fast to book the room you want! 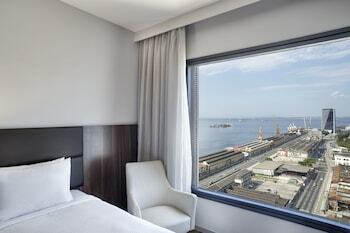 Take a look at the deals on offer at the Promenade Link Stay (Avda. Ayrton Senna 2600) and the Grand Hyatt Rio De Janeiro (Av. Lucio Costa 9600). They're our top suggestions. Where do you fly into for Barra da Tijuca? Landing at Galeao - Antonio Carlos Jobim International Airport (GIG)? Barra da Tijuca is 15 miles (24 kilometers) away. Grab a cup of coffee, hail down a cab and you'll be there before you know it! Can I rent a car in Barra da Tijuca? Secure a rental car via Travelocity and discover Barra da Tijuca at your own speed. 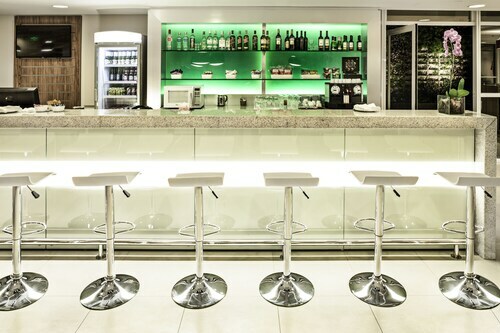 You can head straight from the sky to the highway at Galeao - Antonio Carlos Jobim International Airport. Two good options are Budget and Avis. Is the city your first stop? 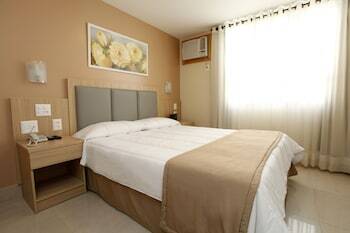 Movida Rent A Car is found just 2 miles (3 kilometers) from the heart of town at Avenida Das Americas 555. Sixt is another car rental outlet that you can go to. It can be located at Av Das Americas 555, only 2 miles (3 kilometers) from the middle of the city. Bosque da Barra Park is a green oasis amid the hustle and bustle of life. Take off your shoes and feel the cool grass beneath your feet or simply lie back and spot shapes in the clouds. Want more nearby options? If you and your travel pals are looking for a place to regroup and hang out, BarraShopping Mall is a good option. Chat over a coffee and search the stores for that perfect keepsake. But that's not all there is. You never know what treasures could wash up at your feet at Barra Beach. Take off your shoes and wander along the water to see if you stumble across interesting sea critters. Whether you're venturing out alone or vacationing with your nearest and dearest, traveling's all about expanding your horizons, wandering into amazing new adventures and creating memories along the way. Are you all set to go? Treating yourself to a Pantanal Carioca Cruise is a wonderful way to get the ball rolling on your Barra da Tijuca journey. Marapendi Ecological Park is an interesting place to visit while you are in Barra da Tijuca. You'll find it around 2 miles (3 kilometers) away. 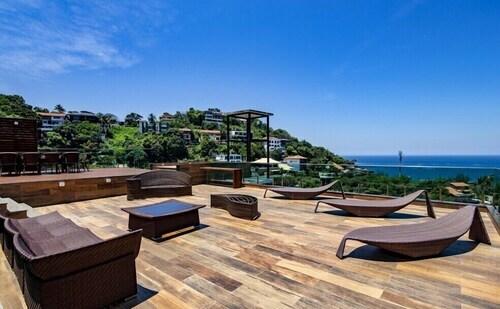 Offering direct access to the beach, this Barra da Tijuca hotel is within a 15-minute walk of Reserve Beach and Pepe Beach. Joatinga Beach and Tijuca Lake are also within 3 mi (5 km). 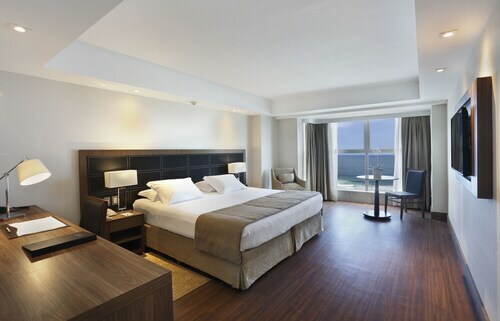 Located in Barra da Tijuca, this beachfront hotel is in a shopping district and within 3 mi (5 km) of Reserve Beach and Bosque da Barra Park. BarraShopping Mall and Citibank Hall Rio de Janeiro are also within 6 mi (10 km). 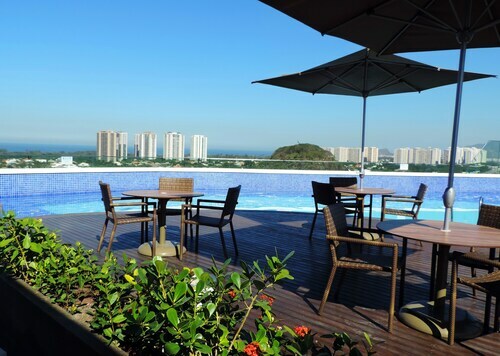 Located in Barra da Tijuca, this hotel is within 1 mi (2 km) of Pepe Beach and Reserve Beach. Tijuca Lake and Joatinga Beach are also within 3 mi (5 km). 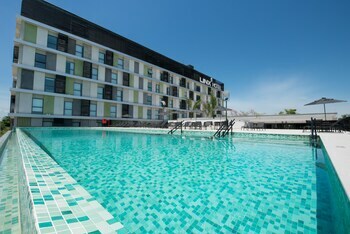 Located in Jacarepagua, this hotel is within 1 mi (2 km) of Olympic Park and Jeunesse Arena. Citibank Hall Rio de Janeiro and Nelson Piquet Auto Race Track are also within 2 mi (3 km). 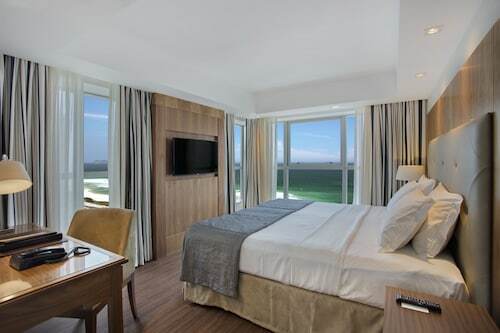 Located in Barra da Tijuca, this hotel is 0.5 mi (0.9 km) from Marapendi Ecological Park and within 3 mi (5 km) of Olympic Golf Course and Rio Design Barra. Recreio dos Bandeirantes Beach and RioCentro Convention Center are also within 6 mi (10 km). Located in Joatinga, this hotel is 0.3 mi (0.5 km) from Joatinga Beach and within 3 mi (5 km) of Sao Conrado Beach and Itanhanga Golf Club. Tijuca Lake and Reserve Beach are also within 3 mi (5 km).